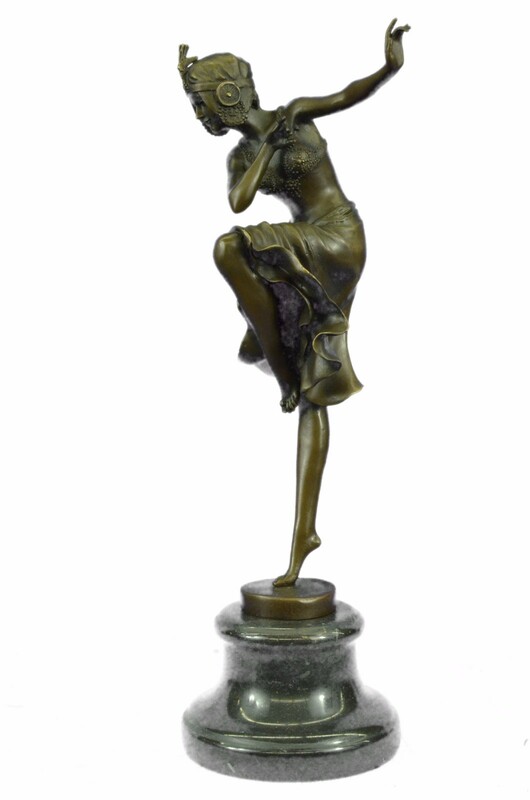 Festive Dancer Will Add Fun And Style To Any Room. 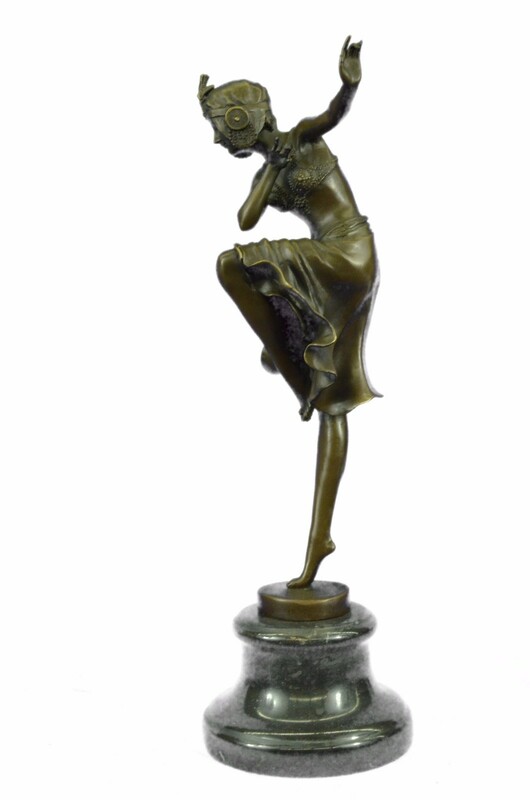 She Has A A Wavy Knee Length Skirt That Fans Upward As She Lifts Her Leg In A Dance. 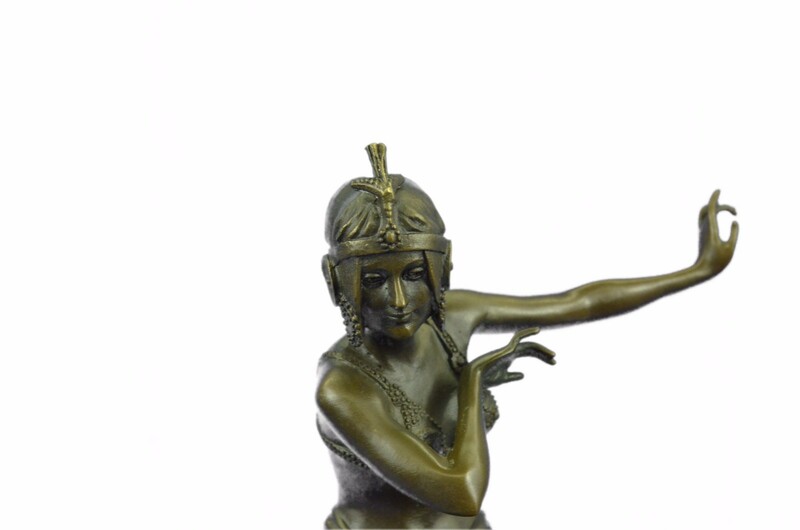 Her Bra Top, Bare Midriff And Decorative Head Gear Give Her An Eclectic Appeal. 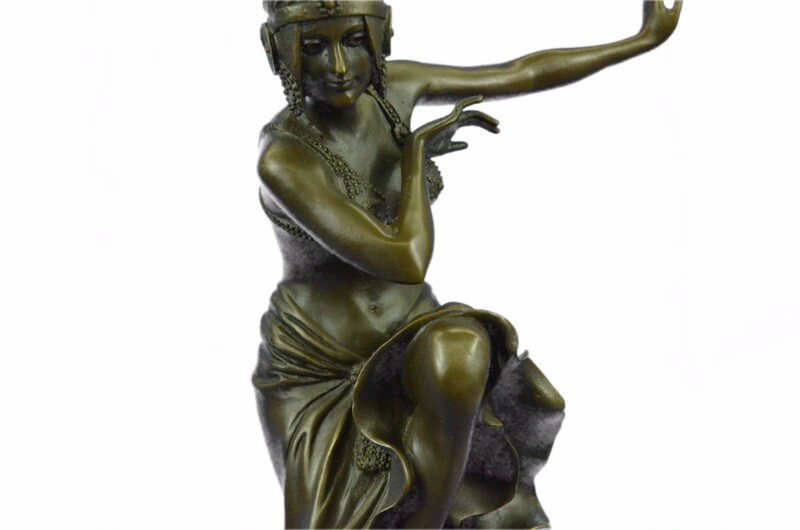 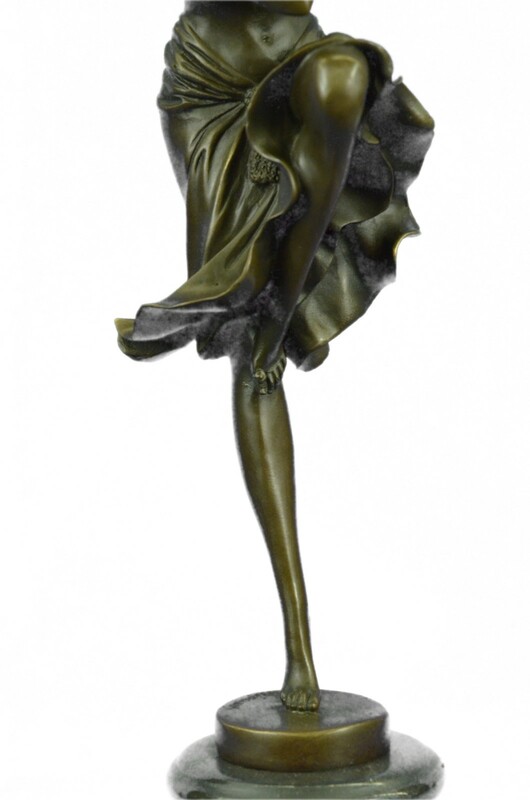 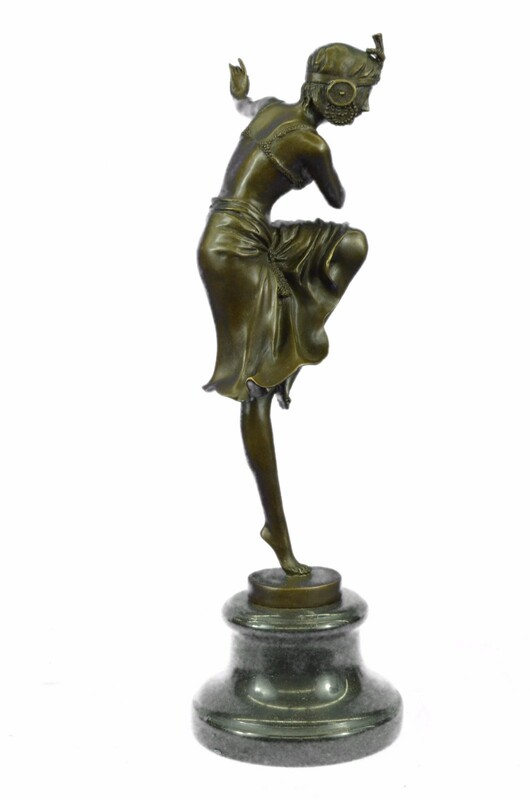 This 100% Bronze Sculpture Stands On A Black Marble Base. 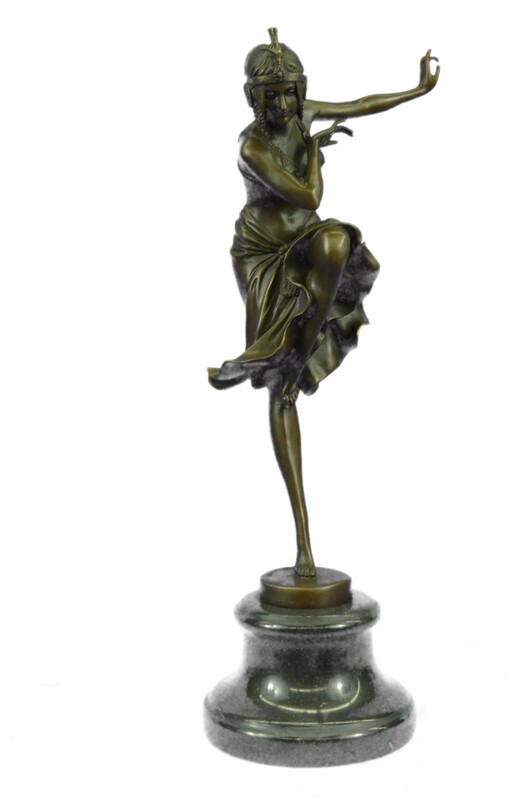 It Is Signed By D.H. Chiparus. 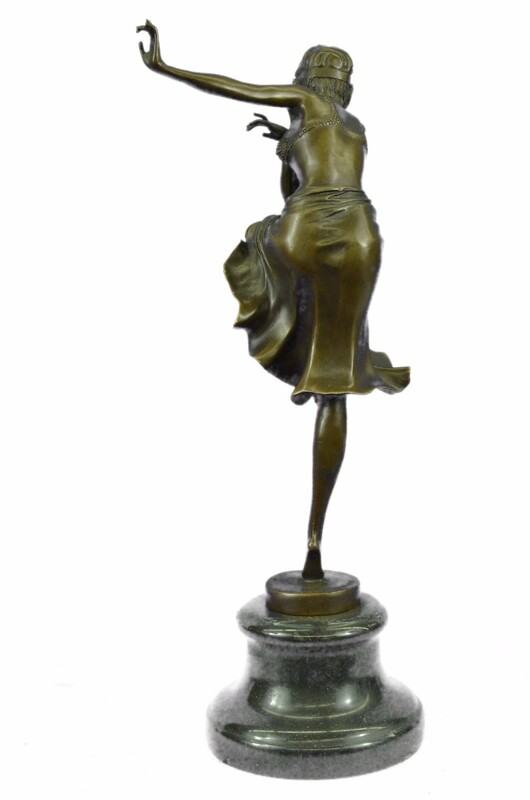 It Was Cast Using The Lost Wax Method.